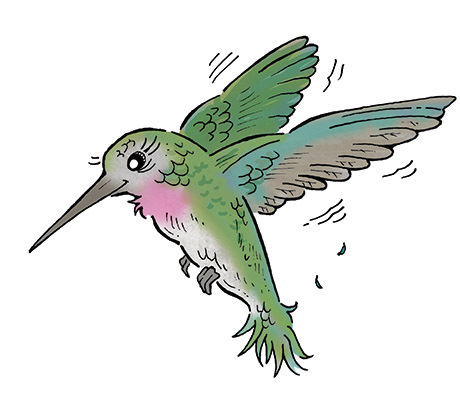 The flighty and flustered hummingbird known as Mercy Moonwing was a key member of the underground resistance movement known as the Knights of Winter. She served chiefly as a scout within the organization, though she didn't hesitate to use her long beak as a weapon when it came to a scuffle. Many of the other knights were annoyed by her habit of forgetting their names and other important information, but they could not doubt Mercy's loyalty and dedication to Een. Mercy played a pivotal role in defending Een when the monster tribes of the outside world marched upon the magic curtain.